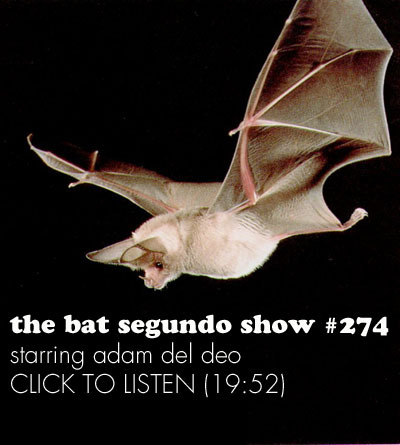 Adam Del Deo appeared on The Bat Segundo Show #274. 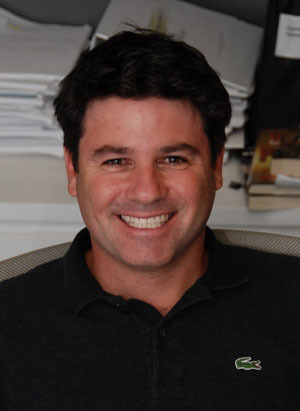 Adam Del Deo is most recently the co-director of Every Little Step. The film is presently playing at the New Directors/New Films series, which is running between March 25 and April 5 at MOMA and the Film Society of Lincoln Center. It is also scheduled for limited release on April 17, 2009. You can also read our related review. Condition of Mr. Segundo: Walking a thin line between the need to perform and employment. Subjects Discussed: How an outsider’s experience assists in the making of a Broadway documentary, working with James Stern, filming the audition process for the A Chorus Line revival, behind-the-scenes access, hesitation from prospective cast members being filmed, capturing uncomfortable truths in a documentary, documenting the compulsive need to perform, keeping tabs on the many documentary subjects, whether being liked is an artistic liability, casting discrimination, Baayork Lee, Bob Avian’s directorial temperament, Jacques d’Ambrose blowing out his knees in his forties, what a dancer does when he can’t dance anymore, Michael Bennett profiting incommensurately from the dancers, the original A Chorus Line dancers not receiving royalties for the revival, not talking with Wayne Cilento, and whether a documentary filmmaker has the moral obligation to show all sides of the story. Correspondent: I also wanted to offer an observation. One moment in which Yuka, who is up for Connie, reveals that she was born in Japan. And the production team expresses some concerns because she can’t, in their view, possibly nail the right dialect because she wasn’t born in the States. In fact, Baayork Lee says, “There’s something about being born in America and fighting for a seat on the F train.” Seeing as how Yuka did, in fact, get the part, this is interesting to me. Because if you were to take such a judgment and put it into another occupation, it would be discrimination. So I am curious. If an actor has the chops, should they not be able to essentially get the part irrespective of the background? This is one of the interesting things, I think, about the film, in which you see such a blunt judgment — despite the fact that it’s done in all love — laid down on the table like that. So what of this dilemma? Del Deo: I think it’s an interesting observation. I think you’re right. Whoever’s right for the role and best for the role should get the role. But casting roles is very, very subjective. There’s not a specific set of standards and information. I mean, what Baayork is seeing and what Bob Avian is seeing, they’re seeing that differently. That part of the film is, to me, one of the most fascinating parts of the film. Because Baayork is looking at Yuka. She created that role. Baayork Lee was taped by Michael Bennett. And that narrative created the role of Connie. She also happens to be the choreographer for the revival. Now over thirty years later, she’s casting the character of Connie. Which is her. And so she says to Bob Avian, “You know, I don’t see myself that cute.” And Bob’s saying, “Well, she’s very likable.” And she’s like, “Well, it’s me.” And so that was very interesting. But it’s so subjective. And there’s a good healthy debate that happened between the creative team as to who was going to play what role. And I think it’s part of the process. Correspondent: But do you think though that such a judgment almost crosses the line to some degree? Because she does — like I say, she gets cast in the part. She does a great job. And so it could be one of those things that Baayork just let off. Because they’re all excited about casting the right role. Nevertheless, I say to myself, “Well, this is very interesting. Because if this is a judgment. And these people are true professionals. Imagine what all the other shows are like.” And so I’m not sure if it’s entirely fair if the actor has the chops. Del Deo: I mean, she got the role. Del Deo: Baayork, she had questions about that. They ultimately all decided she was best for it. Correct? But she maybe wasn’t on board right away with that decision. She wanted to express her desire possibly to cast someone else. I think she talks about J. Elaine [Marcos]. That was her opinion. But it wasn’t her call. I don’t believe it was a racial issue.